Jersey Giants don't get their due. We prefer to think of them as "Gentle Giants." Ours are docile and just gorgeous, with pretty, big eyes and beautiful proportions. While they are larger than most, they're not obviously out of place roaming around in a mixed flock. 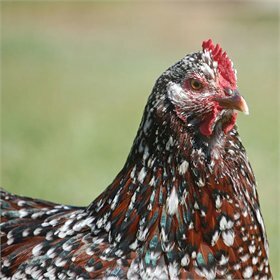 This breed was developed in New Jersey as a dual-purpose fowl (valued for both meat and eggs). It isn't used on commercial farms because it takes a good seven months for them to grow to full size, whereas commercial strains can reach their desired size as early as 5 weeks of age. 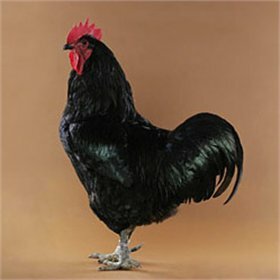 The Jersey Giant is good-natured and hens are decent layers of brown eggs. Consider adding one to your flock and helping to keep this heritage breed going strong!